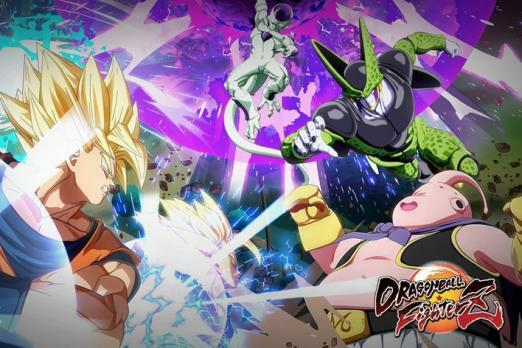 From Bandai Namco and Arc System Works, Dragon Ball FighterZ will let fighting game and anime fans take on friends in some of the most gorgeous and over-the-top battles all year. But when can players begin to take control over Goku, Vegeta and the rest of the Z-Fighters on PC, PS4 and Xbox One? Dragon Ball FighterZ releases on Friday, Jan. 26, so those who want to purchase the physical copy will likely be able to pick it up at their local video game retailer at midnight. Be sure to check your local Best Buy, GameStop or wherever you get your video games for store hours. If you’ve pre-ordered a digital version of Dragon Ball FighterZ , you’ll be able to pre-download it up to two days before the game’s release. That means fans can start to pre-download Dragon Ball FighterZ onto their PS4 or Xbox One consoles now. PS4 users will be able to play Dragon Ball FighterZ starting at 12:01 a.m. local time on Jan. 26. Xbox One players already had one last chance to play Dragon Ball FighterZ prior to release, as the fighting game was available to play until midnight on Jan. 25. Thankfully, players will only have to wait another day to play Dragon Ball FighterZ on Xbox One as it will show up in the store at midnight on Jan. 26. So what can you expect from Dragon Ball FighterZ ? Besides the awesome online and offline fighting, you’ll be able to play through various arcade ladders and even a story mode featuring a brand new character created by the mastermind behind the Dragon Ball franchise, Akira Toriyama. That new character is Android 21, a member of the Red Ribbon army, who has been likened to Dr. Gero in terms of intellect. Her story is a mystery, but we do know that she is planning to clone the Z-Fighters and take over the world. It was even revealed that she will be a playable character and have a Majin form. Dragon Ball FighterZ will release for PS4, Xbox One and PC on Jan. 26. Are you excited for the new fighting game? What do you hope to experience when the game comes out? Let us know in the comments section below.